BAR HARBOR, Maine - The Taste of Bar Harbor is a local food festival celebrating the traditions and flavors of Ddowneast Maine, featuring local restaurants, cafés, chefs and others who offer distinctive culinary experiences throughout the area. The festival is from May 14-17 and features numerous events throughout the four days, including Dessert Night, Waiter Race and Chef's Table event. The festival kicks off on Thursday, May 14, with Dessert Night from 6:00 - 9:00 p.m., sponsored by the Bar Harbor Merchants Association. Register ($15) and obtain a ballot at the Bar Harbor Chamber of Commerce Visitors' Center on the corner of Cottage and Main Street. Then, take a self-guided tour of participating restaurants, sampling their signature desserts. Vote for your favorite dessert to award the restaurant with the most votes a $500 cash prize. Friday, May 15, is the Pub Tour from 5-9 p.m., sponsored by Atlantic Brewing Company. Purchase your beer glass, wrist band and 10 sample tickets ($20) at the Bar Harbor Chamber of Commerce and take a self-guided tour, sampling featured beers and wines at more than 20 different participating pubs and restaurants. On Saturday, May 16, the annual Chef's Table event, sponsored by Pine State Beverage, will treat diners to a special 5-course private dinner. 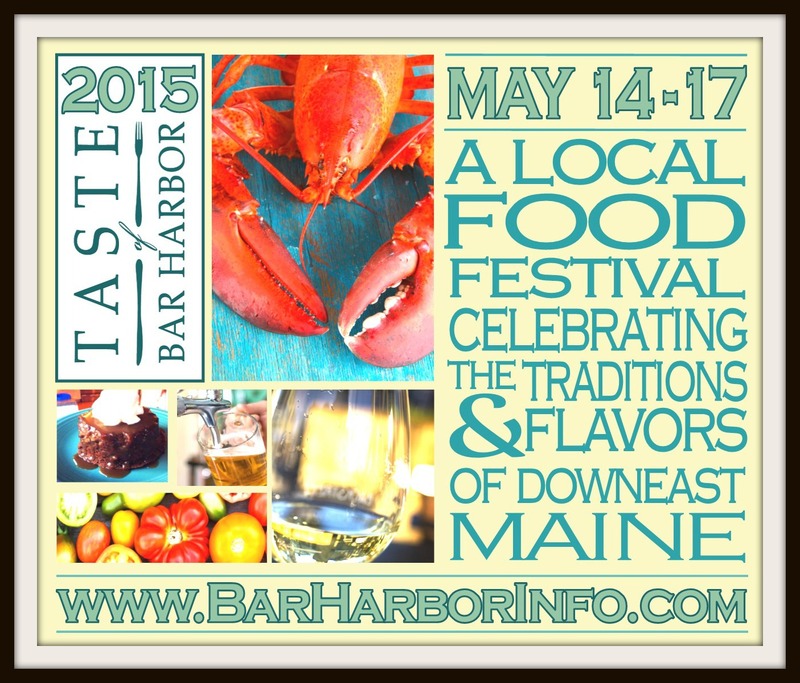 Join us at one of the tables, each hosted by one of Bar Harbor's finest chefs. The cost is $85 per person and it is limited to 60 seats. Your undisclosed dining location will be revealed at a reception from 5-6 p.m. at Fiore Artisan Olive Oils & Vinegars. During the day on Saturday, May 16, don't miss the Bar Harbor Merchants Association Sidewalk Stroll. Stroll the sidewalks for a taste of all that Bar Harbor merchants have to offer. Featuring unique shopping, culinary and made-in-Maine products, spring sales and tasty treats. There will also be a craft fair, presented by the Island Arts Association, in the Village Green where they will be showcasing a variety of works from local artisans and crafters. On Sunday, May 17, enjoy a stroll through Eden Farmer's Market. Featuring local food growers, producers and artisans, the market will provide an opportunity to learn about the wonderful food sources available in the area, and give you the opportunity to sample, purchase and learn from the local, Downeast sources themselves. 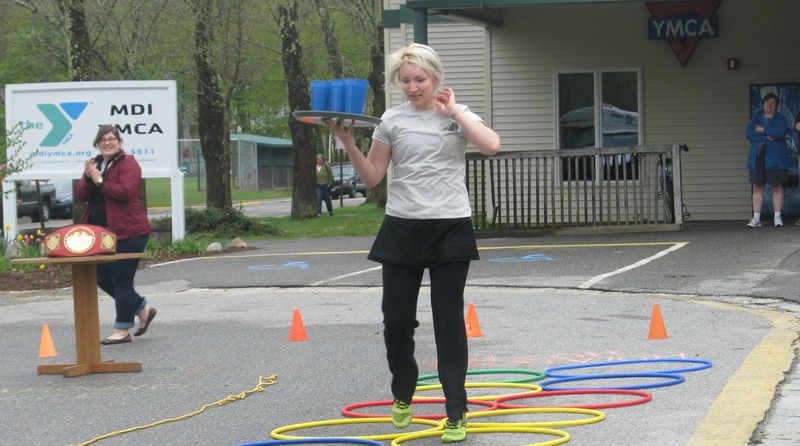 The 2nd Annual Waiter Race will be taking place on Sunday, May 17, at 10:00 a.m. Watch as the finest servers from our area's restaurants compete against one another for bragging rights, as well as the "Ultimate Tip" cash prize. All festival long, the $20.15 Menu will be available. Participating restaurants will be offering a prix fixe menu of their choosing for $20.15; perhaps it will be an appetizer and glass of wine for $20.15 or two-for-$20.15 entrees, or a three-course meal for $20.15. Whatever the offering, it will be the perfect time to try a Taste of Bar Harbor.